What a lovely view, huh? This was our chocolate presentation at the Grand Buffet this Thursday. 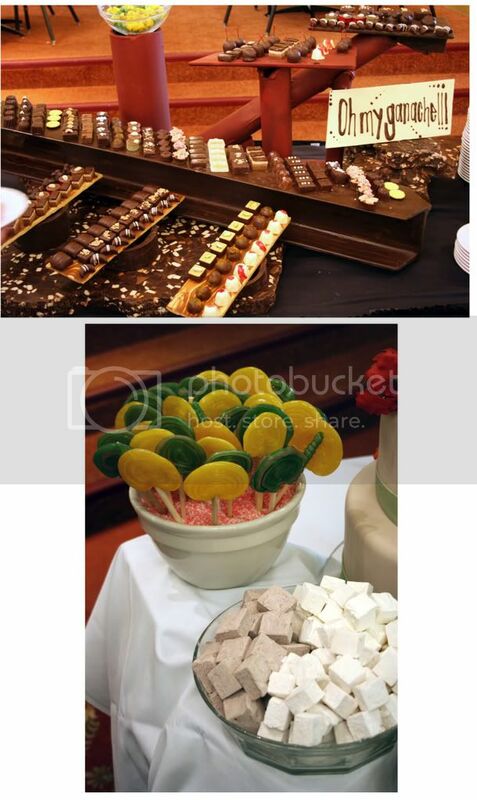 As you can see, there was a big asortiment of different chocolates, as well as sugar candies and marshmallows as shown on the bottom photo. Chocolate is an amazing topic, and possibilities are endless. It is hard, time consuming and more complex then what we've done before, but very interesting and challenging. I am ready to proceed to the next block, which is Breads class (meaning getting up bright and early), but I'm looking foward to it. I need a break from chocolate, so kneading dough for three weeks is definitely a nice change! Post je objavljen 03.05.2008. u 18:51 sati.